Episcopal Community Services (ECS) is pleased to announce the appointment of The Rev. Canon Daniel G. P. Gutierrez as chairman of the ECS Board of Trustees and L. Fredrick Sutherland as its new board president. Gutierrez’s appointment follows his recent ordination as the new bishop of the Diocese of Pennsylvania. Prior to his ordination, The Rev. Canon Daniel G. P. Gutierrez, was a priest of the Diocese of the Rio Grande, canon to the ordinary, chief operating officer, and chief of staff for the diocese, based in Albuquerque, New Mexico. As part of his role in diocesan leadership, he also served as executive director of the diocesan conference and retreat centers and oversaw all aspects of ministry, human resources, budgeting, funds and investments, and capital campaigns within the diocese. Gutierrez is a graduate of the University of New Mexico, where he earned bachelor’s degrees in history and political science in 1987 and a master of arts in public administration in 1992. In 2007, he earned a diocesan certificate in Anglican studies through the Trinity School for Ministry, and in 2011, he was awarded a master of theological studies degree from St. Norbert College. Gutierrez has been married since 1991 to Suzanne Fletcher Gutierrez, and they have one son, Jude. L. Fredrick Sutherland was elected board president effective July 1, 2016. Frederick Sutherland is the retired executive vice president and chief financial officer of ARAMARK Corporation. He served in this position from 1997 until April 2015. From April until December 2015 he served as senior advisor to the chairman and CEO until his retirement. In his capacity as chief financial officer he was responsible for business planning, treasury and financing, financial reporting and control, tax, investor relations, mergers and acquisitions, risk management and safety, information technology, supply chain, shared services and internal audit. Sutherland serves on the board of Consolidated Edison, and is chair of the finance committee. He is also on the board of Colliers International, the world’s third largest commercial real estate services company, which is listed on both the Toronto Stock Exchange and NASDAQ, and Sterling Backcheck, the third largest provider of employee background checks and a portfolio company of Goldman Sachs. Mr. Sutherland also serves as chairman of the board of WHYY, Philadelphia’s public broadcast affiliate, as a trustee and past board president of People’s Light, the second largest non-profit theater in the Philadelphia area, and chairs the leadership gifts committee for Duke University’s $3.2 billion capital campaign. He and his wife, Barbara, an active ECS volunteer, live in Devon. “It is an exciting time to be associated with Episcopal Community Services. The agency’s approach to supporting underserved Philadelphians has rapidly evolved into one that truly sets it apart from the work of similar organizations. Instead of alleviating the temporary symptoms of poverty, ECS helps to lift individuals and families out of poverty while providing them with the skills to live independently and self-sufficiently. I believe deeply in its mission and in the work carried out by each talented and compassionate staff member, and for that, I am honored to serve as ECS’ board president,” said Sutherland. Additionally, ECS welcomes four new members to its Board of Trustees: The Rev. Mariclair Partee Carlsen, Matthew J. Espe, Barbara Kozemchak, and Cynthia R. Muse. The Rev. Mariclair Partee Carlsen has been the rector of St. Mary’s, Hamilton Village on the University of Pennsylvania campus since March 2013. Born in Atlanta, GA, she attended the University of Georgia. She received her J.D. from the UGA School of Law, and worked as an attorney in Atlanta before moving to New York to attend the General Theological Seminary from which she graduated in 2007. Mariclair was ordained deacon in 2006 and priest in July of 2007 in the Diocese of Atlanta. After a curacy at Trinity Episcopal Church, Solebury in Bucks County, PA, she was appointed the Canon for the Ministry of the Baptized at the Cathedral Church of the Nativity (Diocese of Bethlehem, PA). She is currently pursuing her doctor of ministry in Congregational Development through Bexley Seabury Seminary, and is a past member of the board of The Young Clergy Women’s Project, a community of about 900 women under 40 in ordained ministry from around the world. Mariclair lives in Philadelphia with her husband, Mitchell Partee Carlsen, and her daughter, Ruby. Matthew J. Espe has more than 30 years of experience in sales, marketing, and management of global manufacturing businesses. He most recently was chief executive officer and president of Armstrong World Industries, Inc. 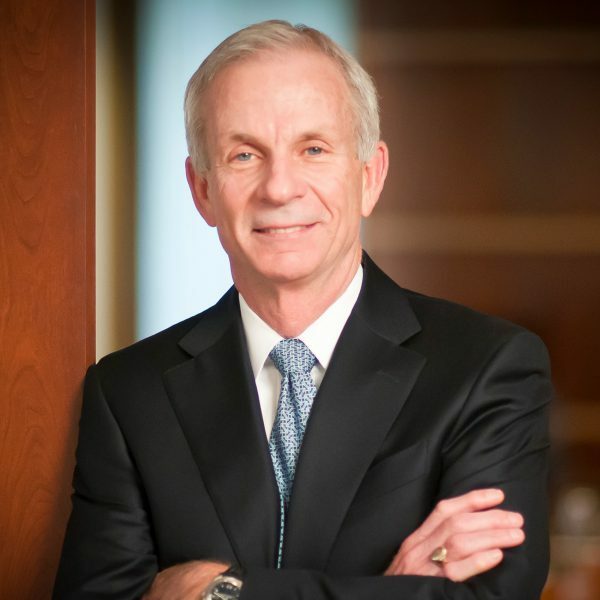 Prior to joining Armstrong in 2010, he was chairman and chief executive officer of Ricoh Americas. Prior to that role, Matt was chairman of the board of directors and chief executive officer of IKON Office Solutions, Inc. Matt began his career at General Electric Company. He was with GE for more than 20 years where he served in various roles, last as president and chief executive officer of GE Lighting. Matt earned his BS in Marketing from the University of Idaho and his master’s in business administration from Whittier College. Matt is currently a member of the board of directors at Husky Injection Molding Systems Ltd., NCI Building Systems, Inc. and Veritiv Corporation. He is a member of the National Board of Summer Search, and a member of the advisory boards of Drexel University’s LeBow College of Business and of the University of Idaho. He was formerly a member of the board of directors of Armstrong World Industries, Inc., IKON Office Solutions, Inc., Graphic Packaging Holding Company, Unisys Corporation, Con-way Inc. and Ricoh Americas Corporation. Matt is a member of St. David’s Church, Radnor. He and his wife, Lori, have four children. Barbara Kozemchak is a member of St. Thomas’ Church, Whitemarsh, and was a board member from 2013-2014. Most recently, she was the director of the ECS Home Care Private Pay initiative and coordinator of the Forum on Aging which took place in the fall of 2015. She has been engaged for many years in hands-on outreach with several ECS programs, including the summer camps with Church of the Advocate and St. Barnabas Mission and the Be An Angel Party with ECS St. Barnabas Permanent Supportive Housing. She began and has chaired the St. Thomas Harvest Festival with participants from St. Barnabas and FAST and led the Easter outfit project for children at St. Barnabas. Barbara and her husband, Cliff, a former ECS board president, have long been supporters of ECS and served as co-chairs of the 140th Anniversary celebration. In addition, Barbara served on the communications task force. Cynthia R. Muse is a retired educator in the Philadelphia public schools. As a director of instruction for the School District of Philadelphia, Cynthia mastered techniques for creating a high-performance culture, and enhancing performance through effective coaching. Her responsibilities included organizational management and leadership training. Cynthia is a life-long member of the African Episcopal Church of St. Thomas where she is a member of the Daughters of the King, an ECS Bridge+Builder, and coordinator for the ECS Christmas and Fill the Bus gift-in-kind drives. She and her husband, Ed, have five grown children and 16 grandchildren.